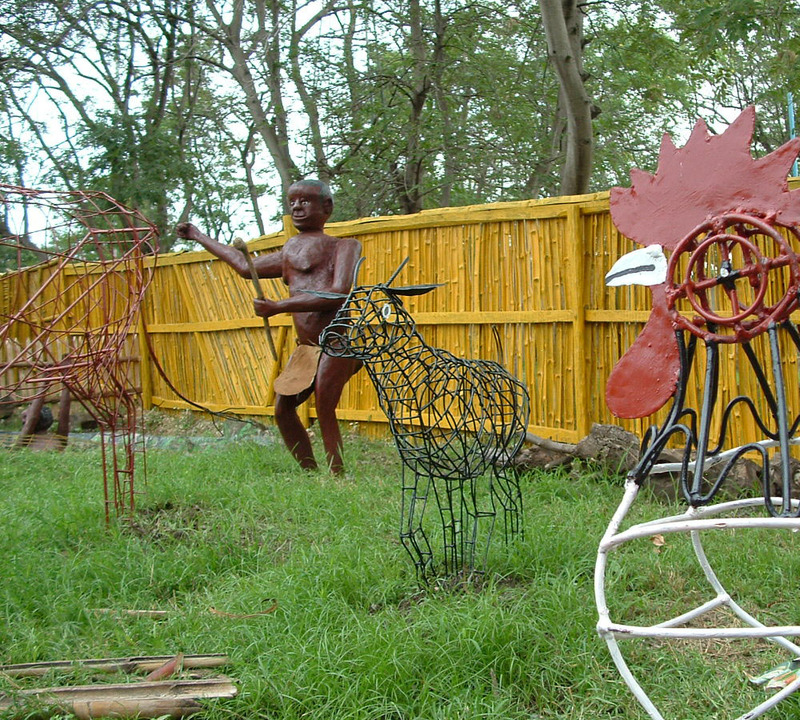 The big challenge established by the Centre for the year 2018 is the completion of the Nyamgondho Mini-Park, the installation of which was started in the summer of 2017. 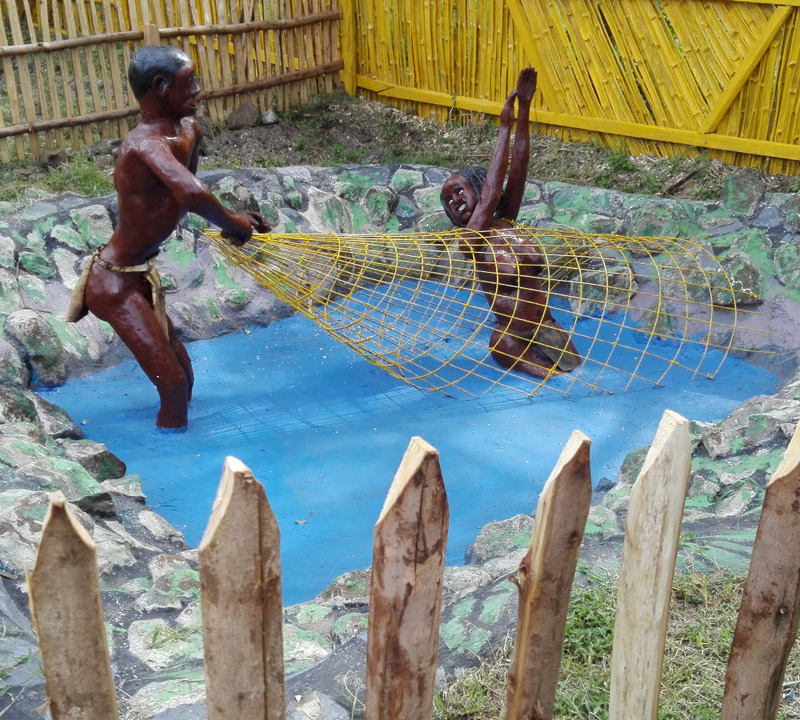 Located in front of the social hall, the center is constituted of an artistic installation formed of natural sized wooden statues representing the renowned legend of Mae and Nyamgondho, a myth native of the Gwassi region but known and studied in the schools of the whole Kenya. The realization of the project was entrusted to the artists of the IKSDP Creative Centre, who worked on the project as volunteers. 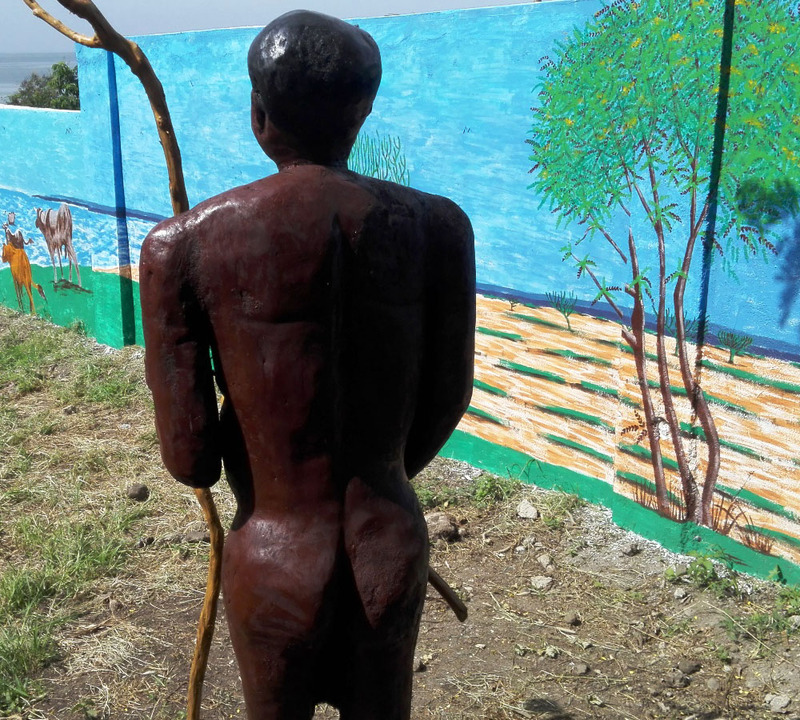 The park will be formed of six stations, corresponding to the six central moments of the myth, and in each of them the visitor will admire the statues depicting the events of the Mae and Nyamgondho legend. 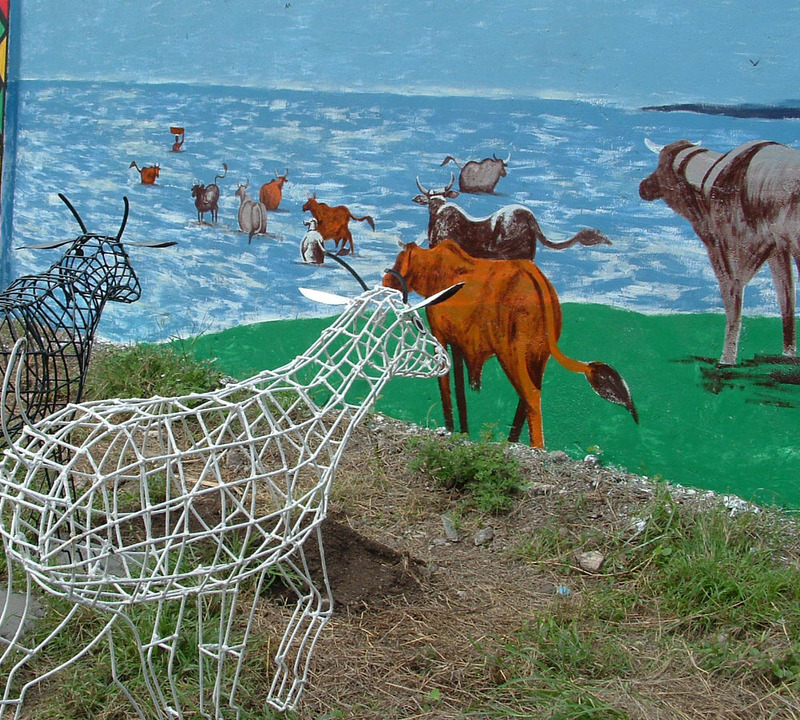 The Nyamgondho Mini Park aims at becoming a center of attraction not only for the inhabitants but for the local schools as well, which already visit the historical site of the legend, sited close to the IKSDP Centre. The broader goal of the project is to promote the art works and the activities of the Creative Centre and to stimulate the active participation of the local population in the preservation of its own traditions and cultural heritage. 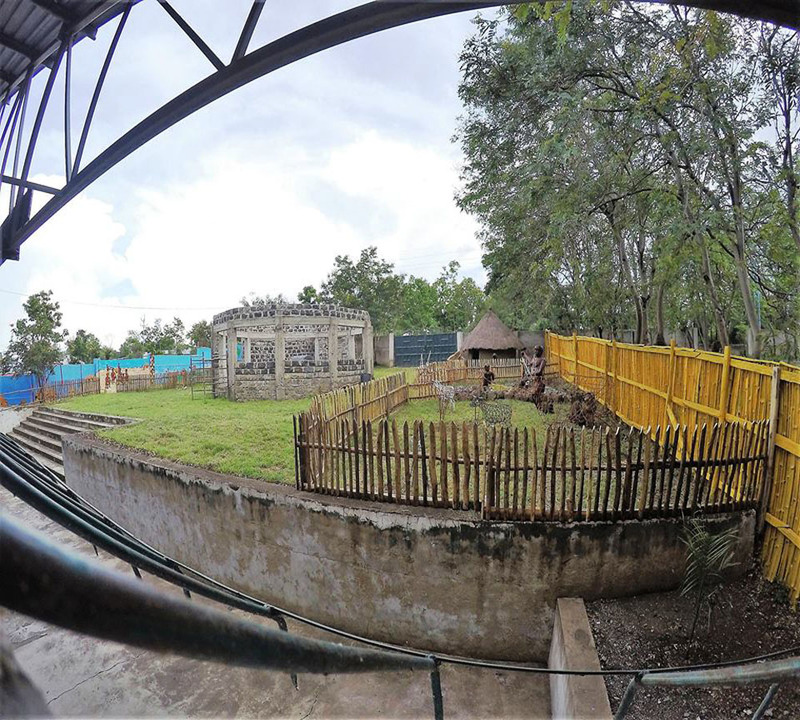 Moreover, a circular gazebo, complete with a traditional African thatched roof, will be installed in the middle of the park and will be used as a canteen and as a meeting point to receive the visitors of the Centre. 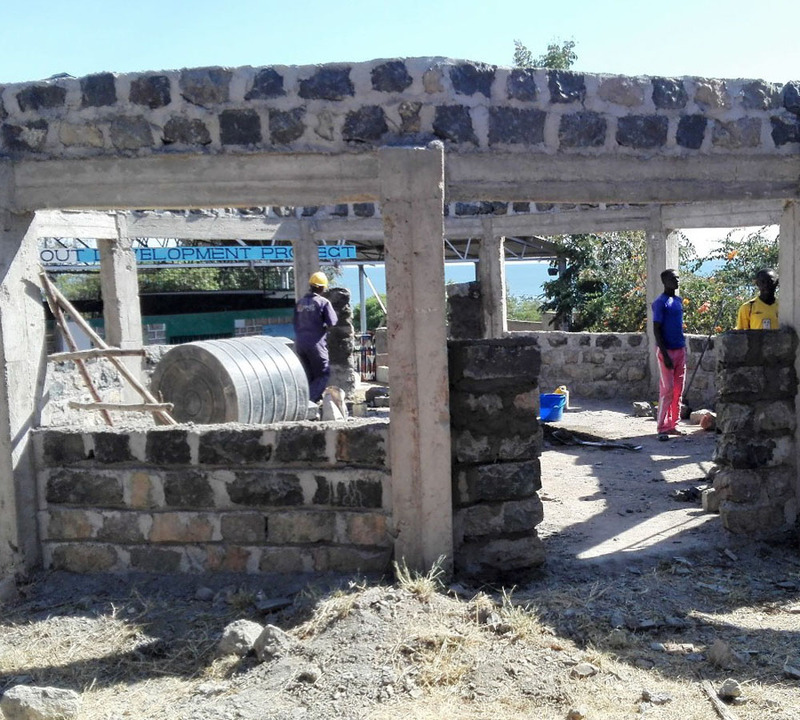 As of now, he building of the gazebo has just started and it is expected to be completed by the end of August. Mae was a poor fisherman who, one day, found an old woman in his fishing net. The woman’s name was Nyamgondho. Coming back home, he discovered that his house had changed: it was now a wealthy household, with many animals and riches. Mae’s lifestyle also changed. 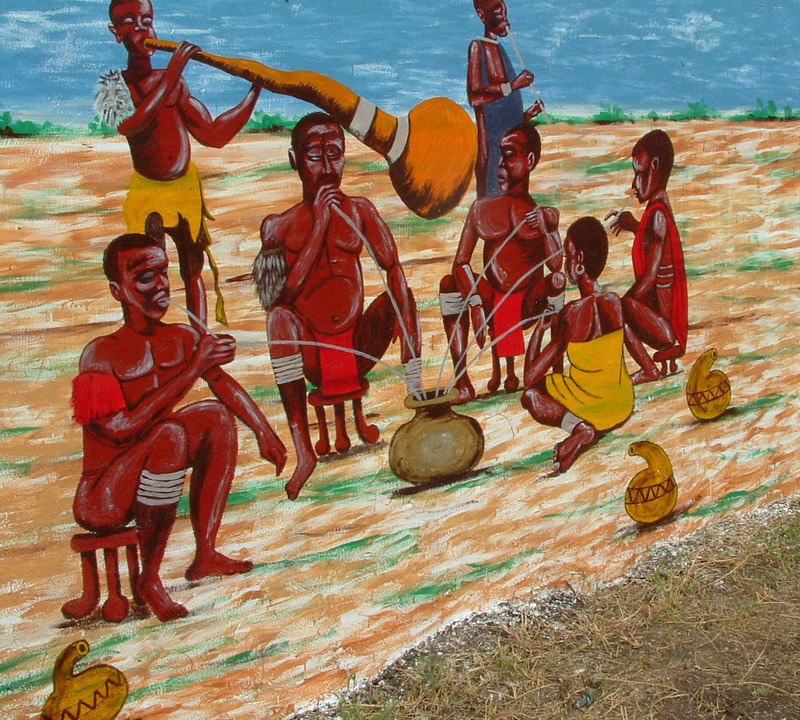 He began drinking and meeting with many different women, despite Nyamgondho’s warnings. 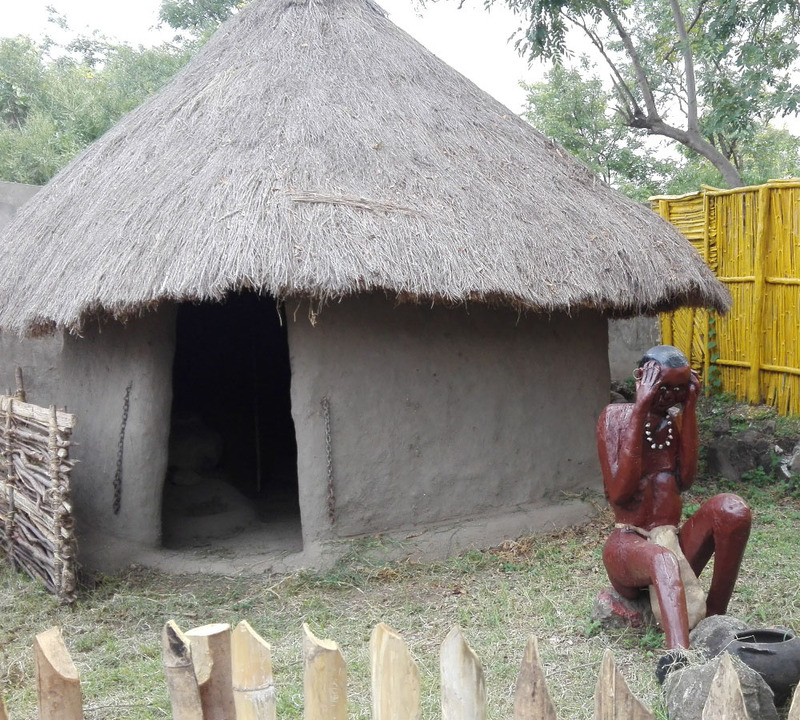 Mae wasn’t respectful of Nyamghondo, and one night, coming home very late after drinking, he was left outside the door. When he woke up the following day, Nyamgondho had left, bringing all Mae’s wealth and animals with her. Mae followed Nyamgondho’s footsteps and discovered that she had disappeared in the waters of the lake, where Mae had first found her. Mae’s despair was so great that, as he sat alone on the shore, he became a tree. Are you interested in collaborating on this project?